U.S. Sen. Lisa Murkowski was the lone Republican to break ranks this morning and vote against advancing Judge Brett Kavanaugh’s confirmation to a final vote. 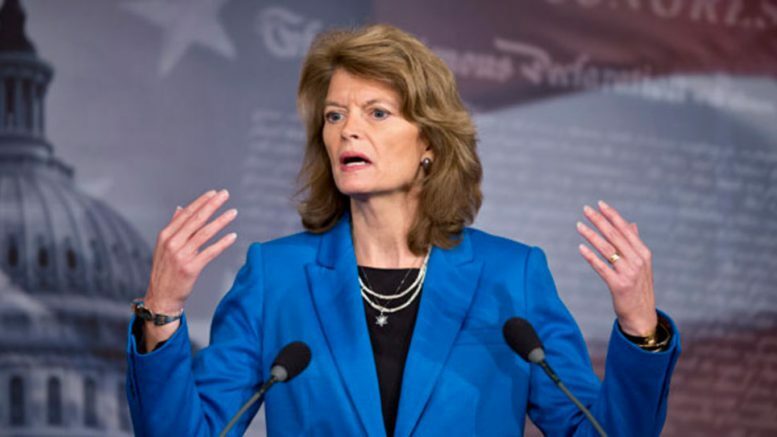 Following a day where she met with dozens of Alaska women, Murkowski joined 48 Democrats in opposing cloture on Kavanaugh’s confirmation. Democratic U.S. Sen. Joe Manchin, who’s up for re-election in West Virginia, joined the remaining 50 Republicans–including Alaska U.S. Sen. Dan Sullivan–in passing the vote, setting up a final vote on Kavanaugh for as early as Saturday. Murkowski, who’s revealed during the confirmation process that she’s had her own “Me Too” moment, told reporters after this morning’s vote that she was concerned that the confirmation of Kavanaugh would harm people’s trust in the U.S. Supreme Court. “I have been wrestling to really try to know what is fair and what is right and the truth is that none of this has been fair. It hasn’t been fair to the judge. But I also recognize that we need to have institutions that are viewed as fair but if people who are victims, people who feel that there is no fairness in our system of government, particularly within our courts, we’ve gone down to a path that is not good and right for this country,” she said. Murkowski’s vote is significant, but it will still take at least one other Republican to vote against Kavanaugh to stop his confirmation. U.S. Sen. Susan Collins, who’s also been closely watched during this process and considered to be the best hope for a second vote against Kavanaugh, voted in favor of advancing him, but said she will announce her position on his confirmation in a floor speech at 3 p.m. Eastern Time. Still, Kavanaugh could have a path to confirmation even if Collins and Murkowski vote against his confirmation because Democratic Sen. Manchin also joined in advancing Kavanaugh’s confirmation. The Alaska Federation of Natives, the state’s largest organization of Alaska Natives, came out against Kavanaugh shortly before the sexual assault allegations with concerns about how he would rule on issues critical to Alaska Natives. The group was particularly concerned that Kavanaugh’s position that Native Hawaiians shouldn’t qualify for the same treatment that Lower 48 tribes would extend to Alaska Natives. The group applauded Murkowski’s decision, noting that it would still keep up the pressure on the Senate. The Alaska Federation of Natives appreciates Senator Murkowski’s commitment to the Alaska Native community. She heard our concerns about Judge Kavanaugh’s record on the constitutional rights of Native peoples, and voted accordingly this morning on cloture. AFN will continue to advocate against his confirmation and will work to get other senators to join Senator Murkowski prior to tomorrow’s final floor vote. 1 Comment on "Murkowski votes against advancing Kavanaugh, says courts must remain fair and trustworthy"
While promoting and supporting unfairness and untrustworthiness.